Allah Ta’ala has given us direct access to call Him, 24/7. In fact, making duas constantly increases our eemaan and makes us better human beings. But still we ask others to make dua for us— for instance those who are going for Hajj, or those whom we think are knowledgeable and pious. And it makes sense – Allah gives to those who are closer to Him. Now imagine the sinless creation of Allah– the angels— making dua for you. But how can we ask an invisible angel to make dua to Allah for us? It’s incredibly easy, and we don’t even need to ask. Become a seeker of knowledge. Nowadays it’s become incredibly easy to gain Islamic knowledge– you can practically carry your university around with you in your pocket by means of your smartphone. So let us take benefit of this blessed opportunity, and be amongst those special people in whose favour Allah and His creation supplicate. Make dua for others when they’re absent. After the daily prayers, remain seated, doing dhikr or reading the Quran. The angels supplicate in favour of one of you so long as he remains in the place where he has performed Salat (prayer) in a state of Wudu’. They (the angels) say: ‘O Allah! Forgive him, O Allah! Have mercy on him.’ [Al- Bukhari; Riyad al-Salihin 72]. Make dua while visiting a sick person or the deceased. 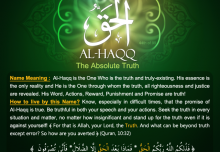 Be among the true believers. Understand 50% of the Quran in 9 hours, available in Bengali. THE ANSWER IS . . . AR-RAOOF! REVIVE A SUNNAH SERIES: Cover All You Need with This Comprehensive Supplication! kids quran reading September 6, 2015	Log in to reply. Madelaine October 1, 2015	Log in to reply. let me knoow iin oder that I may jjst subscribe. Thanks. wanda October 1, 2015	Log in to reply. If you sign up here— http://understandquran.com/join-us.html— you’ll receive our emails and will also have access to our free learning resources, inshaa Allah.